Deep thinking is key to deep learning which in turn is only possible through total immersion. In an age full of all kinds of digital distractions, the notion of deep learning is fading away driving several neuroscientists and media scholars to sound the alarm about the destructive effect of new technologies on our literacy practices. We wouldn’t go so far to claim, as Mark Bauerlein does in Dumbest Generation, that the Internet culture is dumbing us down but signs of intellectual debilitation are conspicuously visible. 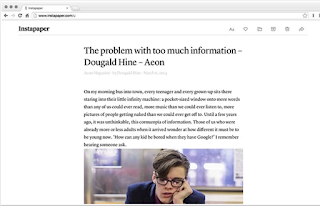 Instapaper is a great Chrome extension to use for bookmarking web pages for offline reading. 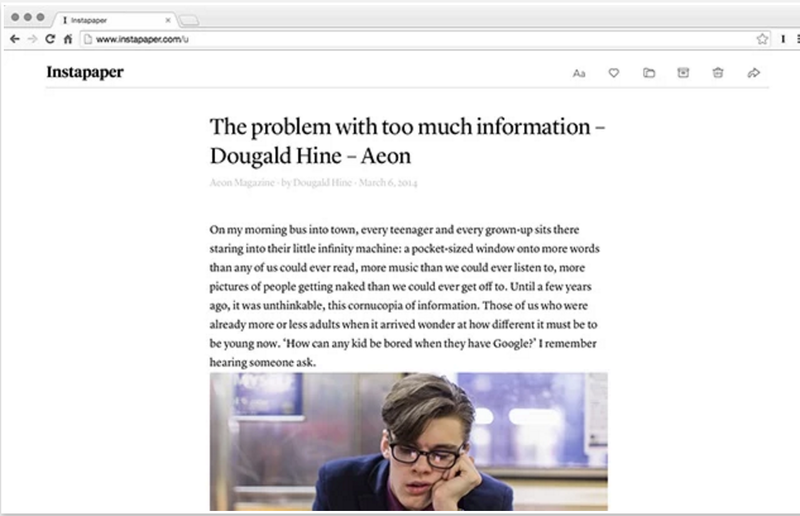 Instapaper provides you with a distraction-free environment where you can read your saved stuff without the clutter of the web. The reading experience provided simulates the non digital one. 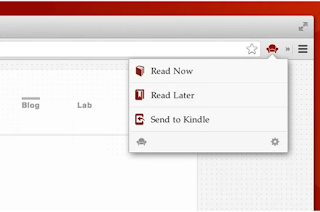 Instapaper is free to use but you need to register and create your own account. 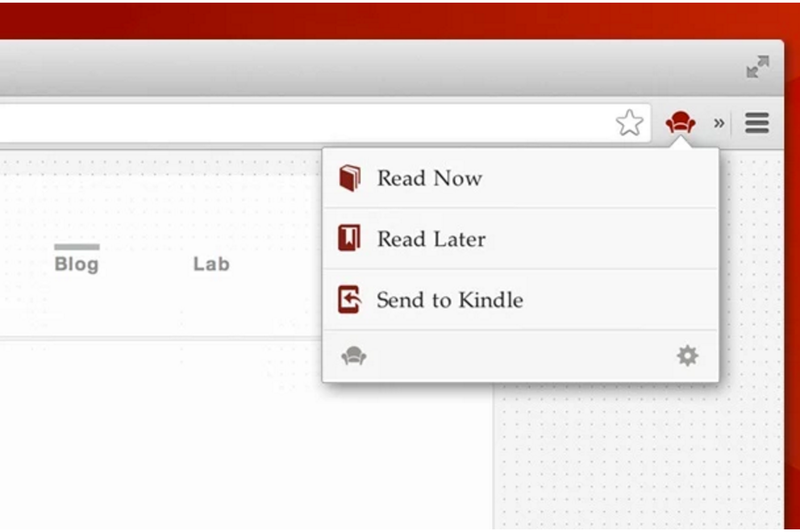 This is definitely a must have tool for online readers. 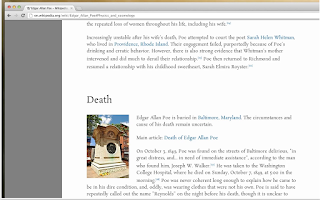 Readability turns any web page into a comfortable reading view by disabling all the clutter and noise surrounding web content.It also provides some key features such as creating personal reading lists, automatic syncing with of your reading lists with Kindle and many more. Draft provides you with a distraction free environment where you can put your thinking into words. 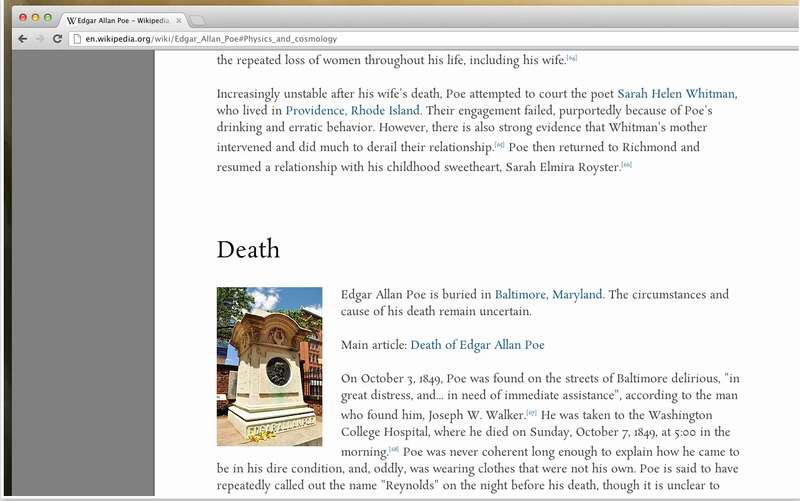 One of the things that I like the most about this tool is the " Hemingway Mode". When this mode is activated, no editing is allowed till you finish what you are writing. 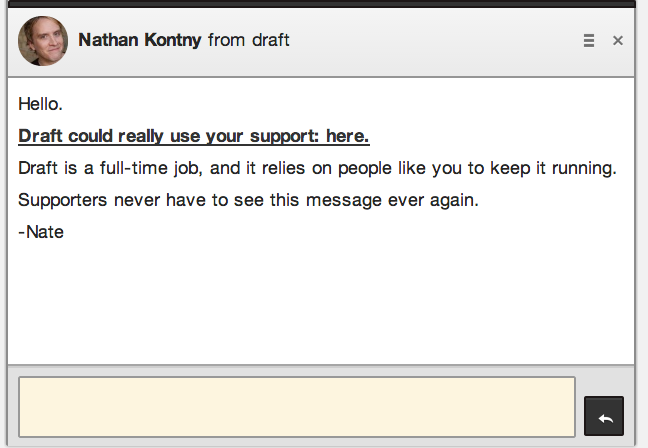 Draft also supports image inclusion and has a collaborative feature like the one in Google Docs. 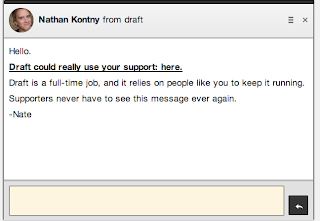 Draft users can invite others to work on the same writing task with the ability of leaving synchronous feedback for each other. However, to use Draft you do need to log in with a valid email and a password.